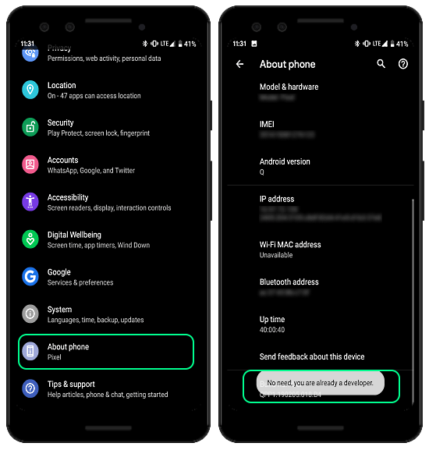 How to Switch Audio Output in Android Q? Android Q launched with lots of small and handy new features. 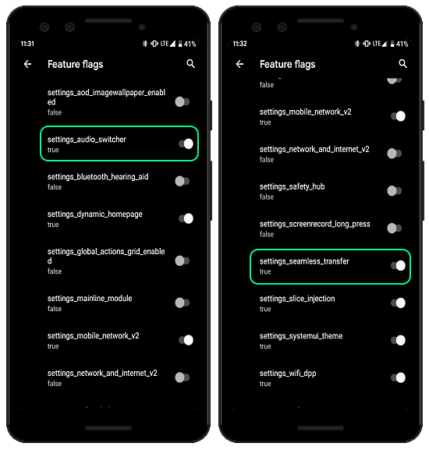 Many of the new features are hidden in the Feature flags section under Developer Options. This article covers a nifty feature launched in the Android Q known as Audio Switcher. This feature gives you an option to choose the audio output device of your choice for the audio stream. Let me explain this with an example. Say, you are listening to something on a pair of Bluetooth headphones. Now, you want to share something with the people nearby. In such a situation, you either have to pass your headphones or disconnect them to play the audio on the phone’s speaker. But with this new feature, you can seamlessly switch between the headphones and your phone’s speaker. You can select any of the available options (headphones, speakers, etc.) for the audio stream and switch back to the original device anytime you want. By following this simple tutorial, you can know how to enable this feature on your phone and use it to quickly switch between available options for the audio stream. 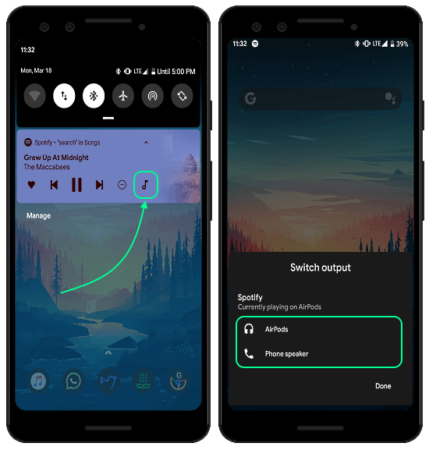 How to Enable Audio Output Switcher Feature in Android Q? go to Settings and scroll to the end. open the About section, scroll to the bottom and tap the Build number seven times to enable the Developer options. Open the Developer options from the System settings. Scroll down to the Debugging section there and look for the Feature flags. 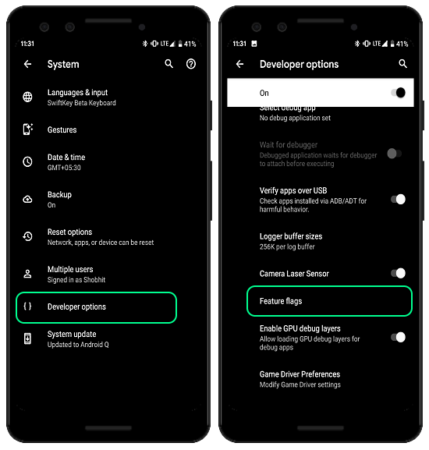 This is how you can enable the audio output switching feature in Android Q. Once enabled, you can use it to seamlessly switch between the available audio output options for the audio stream. After enabling the audio output switching feature, when you play an audio or video, you get a new icon in the notification. This icon is for changing the audio output and it sits right next to the other media controls in the notifications. Tapping this icon opens a list of all the available options for the audio output. Simply select the desired option from the list and click Done to stream the audio to that. This way, you can seamlessly switch the audio output without the need of disabling or disconnecting anything. Having a feature like this was one of the most anticipated things most Android users wanted. This feature lets you seamlessly change the audio output within a second and way convenient than the conventional method.